To enhance the human mind and spirit through meaningful, memorable and motivational learning experiences. To address this lacuna, this blog will examine the first part of this statement: To enhance the human mind and spirit. While we don’t often think in this way, our minds are precious, limited treasures. Every time we direct our attention toward anything, an entire world of knowledge and experience is being focused in that direction. The fact that there are humans on this earth willing to give their precious awareness to your company is a gift no salary can ever truly repay. If you care about your employees, this must be considered with every action your company makes. This is especially true when it comes to designing instruction, which requires a great amount of time and focus from your learners. Instruction, when done correctly, will enhance minds–not simply fill them. 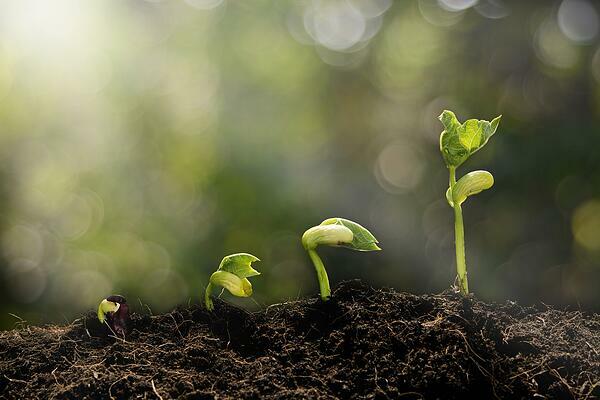 It will plant seeds in the consciousness of your learners in a way that allows them to open and grow. If your training is bookish, redundant, monotonous, or in any way boring, not only will you have a difficult time getting your message across, but you will have squandered an opportunity to help your learners grow as human beings. Similarly, spirit, as specified in the mission statement, is a reference to the energy or chi of the learner. A learner’s spirit is enhanced when the energy of the instruction is perceived by the learner to be uplifting, insightful and meaningful. While spirit is an even more subjective topic than mind, everyone knows it when they experience it. Because that’s what it’s about–experience. While a training event may exist in the physical world, learning itself is an internal experience that can be either positive or negative–or worst of all, neutral. Primarily, it means that effort is needed when designing courseware. This does not mean cramming as much information as you can into a course to check it off your To-Do list. Throwing content on a page may teach an objective to some people, but it will not create an experience that enhances minds and spirits. Instead, with some additional effort, content should be designed and refined so that it flows intuitively and beautifully. Put in the effort so that the instruction feels effortless. There’s an art to instructional design. In writing, bring it forward using metaphors that create realizations that open the minds of the learner. Use various rhetorical devices such as Socratic questioning to allow the learner to come to conclusions on their own. Use alliteration, assonance, or anastrophe appropriately to produce flow within functional sentences. In media, use images, fonts and colors that create symbolic connections deep within the minds of the learner, rather than simply displaying another stock photo of business people shaking hands. In the layout of an eLearning lesson, create clean, even spaces. Think of Feng Shui. Many of the concepts applied in that system can be carried over and implemented into on-screen design. Doing so will not be noticeable to most learners, but not doing so will negatively contribute to the energy of the lesson. It’s important to come back to these because they build and expand upon the first half of the mission statement. Learning should always be meaningful, memorable and motivational. If these three criteria are fulfilled, little extra work will be needed to enhance the learner’s mind and spirit. Life is short. Your learners’ time, minds, and energy are all precious. While not one of your learner’s dying breaths will be spent thinking about their onboarding or compliance training, that does not mean you should be wasting their life’s experiences with poor or boring instruction. Place value on your learners and create instruction that truly enhances their growth. That way, you’ll have employees that value your company and are willing to apply their energy and awareness in ways that grow your company in return.